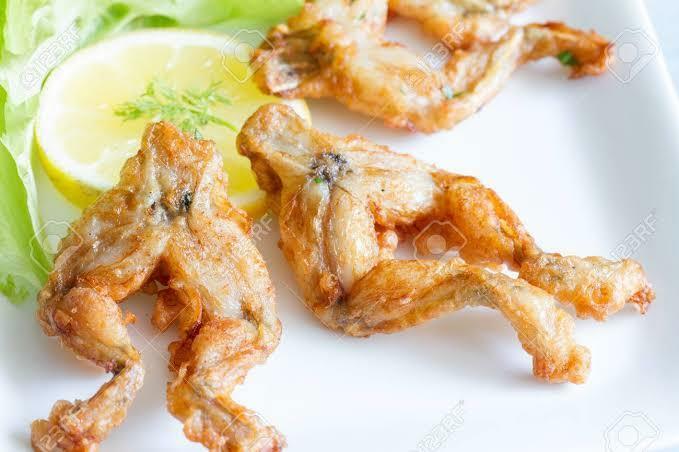 Do you like frogs legs? Frog legs are good taste just like chicken. Have you ever tried chicken feet? It don't taste that bad. That lemon is looking very appealing. To my eyes. Do you like pizza? If you could only drink one beverage (excluding water) ever again, what would it be? Do you drink tea or tisanes in the evening? Do you like steak fajitas? Sauce for fish? no disgusting but I guess I had ever eaten without knowing. They taste kind of like chicken. But i can't get passed the fact that i'm eating frog. No thank you. I have never eaten them. Never tried, and the picture turns me off. I've never tried them and never would. Tried them once and didn't like them at all. wee wee , yes , taste like chicken. Never tried them but heard they taste good. Successfully Appeal to and Attract Women We need to stop being silent about violence towards healthcare workers 10 of My Favorite Songs About Magic 10 Music Artists/Bands Have Taken Over My Playlist What It's Really Like to Be an "Ugly Woman"
Home > Food & Beverage > Do you like frogs legs?